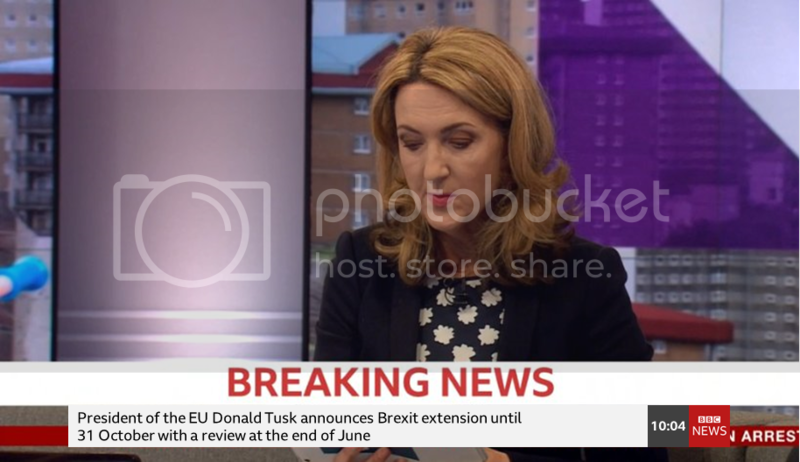 Just with this in mind, and Victoria Derbyshire's graphics as a whole - do we think they've been designed with a 'new' BBC News graphics template? The mammoth gap between the current ticker and the new VD straps has always bugged me - but if you think that it's there because the new graphics will fill the space, it kind of makes sense... little mock up of what I mean below. 2 minute job there, so excuse that, but I think that might make some sense? Plus I remember seeing somewhere that a flipper was being discussed instead of a ticker. That does seem to take up an awful lot of the screen, so I’m hoping it’s just that they’re just moving the ticker/flipper up screen a bit. It would look even odder like that. Wouldnt the bbc news logo and clock be the other way around and maybe the bottom is max width also may be space for the programme name strap? Decent attempt for 2 minutes though. EDIT: Ah, sorry, ignore me! It seems like - looking at a subject caption from the first programme - it does resize, but they must just have hit the maximum box size today and then the text squeezes. Not ideal - perhaps they need to use a smaller default font size. Makes you wonder why they have chosen that size to be the maximum when there is plenty of space left on screen to extend it. Odd decision. It's probably because they're (rightly) trying to encourage succinct straps instead of rambling sentences. You'd think they'd just stop them entering over a certain number of characters so it doesn't ever resize.